As with every manual process, a single typing error or entering a misread figure could result in damaging consequences. They may appear to be trivial initially but can in no time become costly, labour-intensive and time-consuming to fix and even irreparable and detrimental to the business. If this sounds familiar to your business challenges or somewhere close to it, then you may need to considerer an ERP system. This way you can observe how much time was wasted on activities that ERP software can tackle in a split-second. The day to day accounting challenges can be solved easily by using SAP Business One (ERP) software. It streamlines and automates the day-to-day accounting tasks resulting from invoices, deliveries, production orders etc. An ERP system can make a significant impact by helping you manage the entire business as well as integrating accounting and inventory information, ensuring correct customer invoicing, customised reporting and financial statements. With all the financials stored in a single database, SAP Business One offer SME businesses a comprehensive financial accounting solution. Free your accounting staff; let them be more productive and deliver critical reports in a timely manner without frustration. 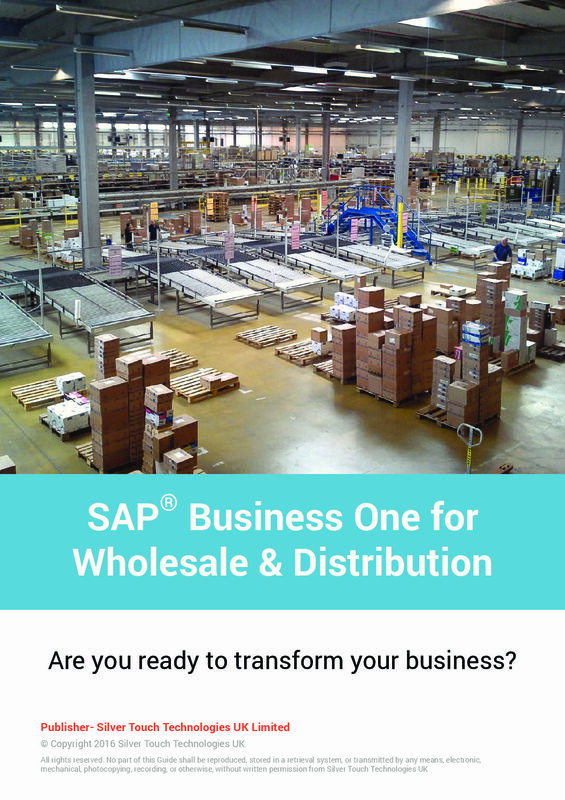 With SAP Business One uniting all business functions, information is captured at source, processes are linked and you gain full visibility with agility of your complete operation. Automation of frequently/periodically occurred journal entries like Depreciation, Insurance or loan EMI etc. Customer balance & aging direct e-mailing to customer via outlook integration etc. “Future proof” from TAX system changes and other GAAP.